Drawing on a nationally representative survey (n=1,266; including 1,070 registered voters), this report describes how American registered Republican, Democratic, and Independent voters view global warming, personal and collective action, and climate policies. 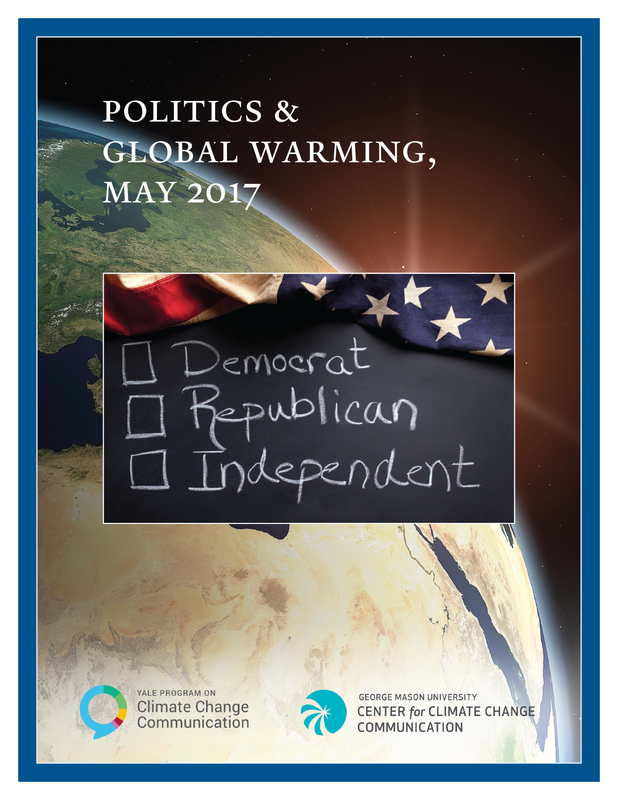 This report is based on findings from a nationally representative survey – Climate Change in the American Mind – conducted by the Yale Program on Climate Change Communication (climatecommunication.yale.edu) and the George Mason University Center for Climate Change Communication (climatechangecommunication.org), Interview dates: May 18 – June 6, 2017. Interviews: 1,070 registered voters. Average margin of error +/- 3 percentage points at the 95% confidence level. 2. Should the U.S. Act on Global Warming? 3. Who is Responsible to Act on Global Warming? Leiserowitz, A., Maibach, E., Roser-Renouf, C., Rosenthal, S., & Cutler, M. (2017). Politics & Global Warming, May 2017. Yale University and George Mason University. New Haven, CT: Yale Program on Climate Change Communication.